A to Z Challenge Theme Reveal - A Rose Is A Rose Is A Rose! Last year, when I had participated in the April A to Z Challenge, I wrote about random subjects from A to Z. I wrote about my addiction, emotions, memories, love, Twitter, I posed a question and a riddle, wrote a spine poetry, did a picture post… in all I wrote about 26 random topics. Pretty challenging to think about new topics everyday or pretty simple to write on anything that takes your fancy? This year, we signed up for the A to Z challenge in January and there has been a lot of buzz about to theme or not to theme? Well, last year, I didn’t had a theme, this year, it makes sense to try something different and new and I decided to go for a theme. No, these are not some pearls of wisdom on marriage and there wont be any advice on relationship problems either. These are some of the ingredients that make or break a married relationship. These are some of the good, bad or ugly facets that we see in a relationship. And all these different aspects of a married relationship will be shared in the form of stories which will be in exactly 55 Words. Yes, I’ll be writing 55 Fiction Stories on Marriage from A to Z, this April. Now, doesn’t that look like a plan!! Easy on you as a reader, as 55 words are just short enough to grab your attention and time and long enough to cover the subject. Of course, it is going to be challenging for me, but then I believe, the greater the obstacle, the more glory in overcoming it. 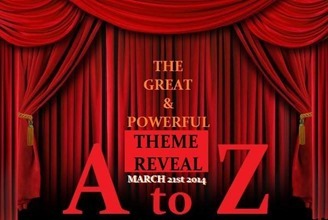 So, be there with me this April, as I explore the various aspects of a Marriage from A to Z in just 55 words. Wow… Marriages, pretty interesting topic. I am excited about the challenge and also curious to read ur 55-ers on it. 55ers all month long and that too on marriage, I’m really looking forward to your posts Shilpa 🙂 I’m thinking of finally taking up the challenge myself, hopefully I will be able to complete it. Wow! That’s super cool, Reshma! Glad you are in for this Challenge too!! Oh you will ace it, I am sure of it!! So, are you working on a theme?? and 55ers though it seems easy I know it definitely isn’t! Infact it is really difficult! All the best…looking forward to it! marriage and 55ers.. interesting Shilpa. You are a very creative person. Good luck for the contest. Wow…what a great idea, Shilpa! Twenty-six l’il nuggets of wisdom on marriage. Count me in! Very brilliant!! Shilpa you are a very creative writer! Only you can get such unique and novel ideas.Waiting to read your 55ers. WoW! It seems like we will be wiser by the end of April!! Looking forward for stories of wisdom!! Marriage is one my favorite topics 🙂 looking forward ! Thanks Smita. Are you joining us, this April? A double challenge! Looking forward to your 55 words per letter on marriage Shilpa. You are definitely the 55er queen. Drum rolls…..bugles…… all for your creativity shilpa. A challenging task indeed…..a theme and that too all 55ers…..Great shilpa! So the Drabble Queen is all set. Oh I’m so looking forward to reading your 55ers. 55 words on marriage —- I am intrigued alright!! It will be a challenge for you and an breeze for us. So much to say in so little words… Great going!! It’s always nice to read your posts . marriage is an interesting subject , looking forward for your posts in April . all the best ! I have read many of the reveals already, yet yours is the most “Challenging”, a topic and a word count. Can’t wait to read your 55 words. A cool theme, Shilpa! Looking forward to reading more of these! How very interesting! You’re the Queen of Challenges, Shilpa. You’ll ace this one. What an awesome topic to blog about! I will definitely be following….Good luck with the A to Z Challenge. This will be my first year. I am doing a word-limited theme this year too! Only I’ll be doing 100 words per day on being a teenager. Eek hahaha I can’t wait to read! Cool. Looking forward to read those 26 55Fictions. So, does each person get a theme? Or do you choose your own? Oh I love your theme and wow 55 words! I am really looking forward to reading your posts. 26 short stories on marriage and that too in 55 words,that would be fun…..
that’s very brave of you, I mean writing 26 back to back 55 fiction is tough. The funny thing is that all you need to write is just 1430 words in April. Marriage from A to Z in 55 words – that sounds like quite a challenge! I’m looking forward to seeing what you share. 55 words a day on marriage from A to Z…..can’t wait to read them!!! Yes, April never looked so exciting before! 😀 Thanks. Are you participating in the A to Z Challenge, Amelia? Looking forward to this feast of 55s, Shilpa! I’ll be following in April. Sounds intriguing. Love the theme, Shilpa! It’s super relevant, a fabulous opportunity to explore with humor (or satire?) and more seriously an important aspect of modern life. I’m not married, but I’ve been living with my boyfriend for 10+ years, which makes us in many ways a “married couple”. I’ll be looking forward to your insights. That’s a very interesting theme. And the 55 fiction thing will make it so creative! Looking forward to the posts. Good luck! Wow! That’s quite a challenging theme but I’m sure you’ll do full justice to it! P.S. After reading your motivating posts I too have signed up for this challenge but I am clueless about my next move! My name is visible in the list but how do I get to know in which team I am and how to go about this challenge! Hi Shesha! Thanks for reading my last year posts and glad that it inspired you to participate in the A to Z Challenge this year!! My A-Z challenge is Family History & Genealogy. that IS quite a challenge!! and a very interesting one at that!! looking forward to ur posts! 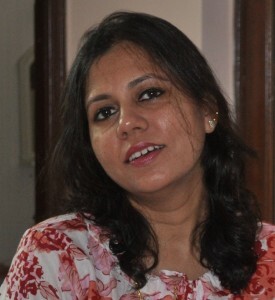 Hi Shilpa, I thoroughly enjoyed reading the the A-Z series. the theme you chose was fantastic and I must say I gained a lot from reading them. good reminders for every married person.